To date, Lina Medina is the youngest person to give birth. She was five years and seven months old when she birthed a baby boy in Peru. Lina was born in September 1933 and was one of nine children according to the Telegraph. Her parents took her to the hospital when they noticed an abdominal growth that they believed may have been a tumor. Doctors confirmed that she was several months pregnant. Lina has never shared who the father was. Lina's sexual organs were examined after the birth of her son, and it was noted that her ovaries were fully mature, and she had a very rare case of a unicornuate uterus. Unicornuate uterus, a condition where only half the uterus forms, makes it very difficult to get pregnant making Lina's case even more astounding. According to a Time Magazine article published in 1957, Lina's obstetrician Rolando Colareta was her attending physician throughout her pregnancy, but Dr. Lozado was the one who performed her C-section. According to the same Time Magazine article as an adult Lina worked as a secretary at Dr. Lozado's office. Dr. Lozado was the one who performed the Caesarean section on Lina 18 years prior. She was described as a very private person who Dr. Lozado took under his wing and later provided her with a formal education, as well as helped pay for her son's high school education. Lina married a man named Raul Jurado and had another son with him who they named Raul Junior. Her first son, Gerardo passed away when he was 40 years old in 1979. Lina is in her 80s now and still lives in Peru. Understandably so, Lina has consistently refused to do interviews with reporters who continue to show an interest in her case despite it happening so long ago. 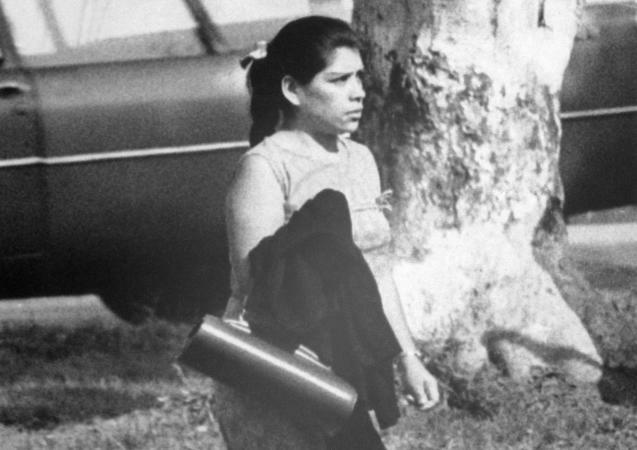 Hilda Trujillo, who was treated by Lina's doctor, gave birth at the age of nine years and seven months to a premature baby according to the Time Magazine article. The father was her adult cousin. An eight-year-old girl gave birth in Mexico to a seven-pound baby who died shortly after delivery- she was noted as being the youngest girl in Mexico to birth a child and the father's identity has not been reported. In 1881 a girl around the age of nine gave birth to a seven-pound baby. Doctor Dodd noted that he believes she began menstruating at just one-year-old. The father is said to be a family relative. The baby passed away shortly after birth. Although it was never confirmed one can surmise that Lina was sexually assaulted by someone when she was just five years old. Lina's story, although medically fascinating, exposes a dark reality of the life she experienced as a young girl.